Jasmine Cottage0191 478 3456work Self-cateringKirkby Lonsdale is a truly special place with so much going for it. 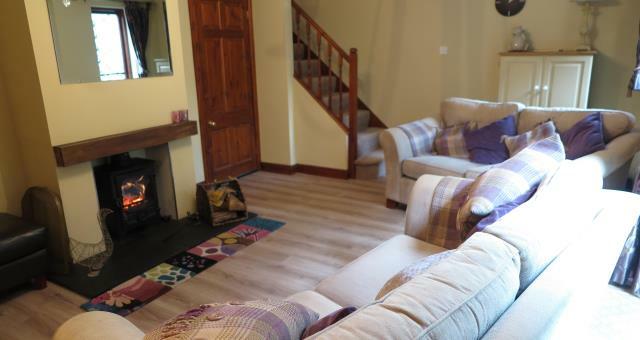 Jasmine Cottage is the idea accommodation to stay at to explore the lovely market town and fabulous surrounding areas.There is something for everyone, fantastic and varied shops, wonderful restaurants, pubs and tearooms. The cottage is in the heart of the historic market town, and with private parking (a must for Kirkby) and visitors spaces often available you can just leave the car and explore the town within a very short walk. Bordering the Lakes, Cumbria and the Dales you are ideally placed to travel further afield. There are beautiful walks of all lengths and ability levels, straight from the front door, including the famous banks of the River Lune well known for inspiring the artist Turner and author Ruskin with the views. Front courtyard garden. Entrance porch leading into airy dining room with quarry-tiled floor, ideal for walkers, pine table and chairs, roman blind on window. Warmly decorated kitchen, fully equipped with shaker style units, under cupboard lighting, breakfast bar and stools, ideal for socialising, dishwasher, gas hob, glass extractor hood, electric fan oven, washer, large fridge/freezer, toaster, kettle, tassimo coffee machine. 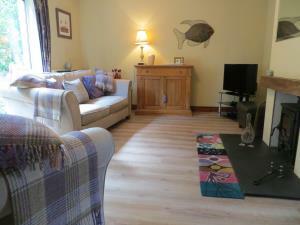 Lovely sunny lounge with lovely log burner, 2 sofa's TV with Freesat, DVD, CD player, chest of drawers, selection of games, books and DVD's and wireless BT infinity broadband available. First floor, contemporary style main bedroom with cast iron double bed, fitted wardrobe, bedside tables and dresser, shutter style blinds. Pretty second bedroom with twin beds, fitted wardrobe, bedside table and dresser, shutter style binds. This room can be converted to a super king on request. Third bedroom, with single bed, chest of drawers, TV. Bright and modern family bathroom with white suite, heated towel rail and mains shower. Sunny rear enclosed courtyard garden, south facing with garden furniture. Private allocated parking for one car, with public car park approximately 45 metres. 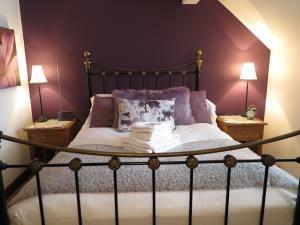 Jasmine Cottage offers weekly bookings starting on Saturday and sometimes short breaks. One double, 1 twin/super-king and 1 single bedrooms. Jasmine offers weekly bookings starting on Saturday and sometimes short breaks. Thank you so much for your lovely review, it is a pleasure having you to stay! Kirkby Lonsdale is a truly special place with so much going for it. Jasmine Cottage is the idea accommodation to stay at to explore the lovely market town and fabulous surrounding areas.There is something for everyone, fantastic and varied shops, wonderful restaurants, pubs and tearooms. Our mobile number is: 0780 8989 000. Children welcome from any age. By car, when you approach Kirkby Lonsdale from A65 west/east, we recommend that you take the second turning into Kirkby Lonsdale, which is via a roundabout at Booths Super Market. Drive past the supermarket on your left and at the end of the road turn right. Take the next left hand turn along side the post office, and you will approach Kings Court, which is on your right-hand side. Before you enter the car park you will see 3 parking spaces. The cottage space is the last of the 3, immediately before you enter the car park, and has a flash park warning sign attached to the wall.